There are many birth myths out there that may totally freak you out of having a natural birth. Your mom, your BFF with 4 children, and your doctor may all have the right intentions but there’s a lot of information out there that is not 100% accurate. 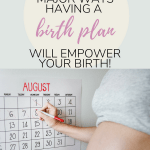 Planning on having a natural birth and actually going through with it can be daunting but being prepared and educated is key to having a mindset fit for a successful unmedicated birth. 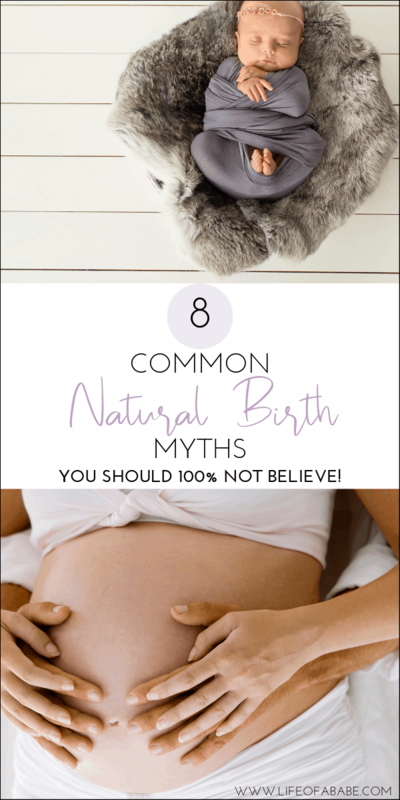 Below are just some (I’m sure there are plenty more crazy ones out there) common birth myths that may freak you out of having a natural birth. The media’s portrayal of birth is one of the biggest reasons why so many people fear natural births. The woman is always portrayed as some monster who screams at the top of her lungs and curses at everyone around her. When she’s not screaming, she’s on her back, legs wide open, pushing until she’s just about ready to pass out. Somehow it always looks as if the entire process of childbirth is just too much for her. Like she’s not at all capable of handling it at all. That explains why many moms fear going through with having an unmedicated birth. Constantly seeing these kind of images can really freak you out! Take it from me. Childbirth doesn’t always go down like what you see on TV. Is it easy? Nope, it’s definitely challenging. I mean, you are bringing a new life into the world. Are contractions painful? Sure, they can be. But they are valuable. The closer and stronger your contractions get, the closer you are to meeting your baby! An unmedicated birth is TOTALLY DOABLE. I’ve done it twice and let me tell you: I’d do it again in a heart beat! I felt so good afterwards and my postpartum recovery was smooth. Labor pains are also very much manageable. Your body knows exactly what to do to manage this pain. It naturally produces hormones (the beta-endorphin hormone…aka nature’s narcotic) which help manage pain during labor! There are so many benefits to having an unmedicated birth. So PLEASE erase from your memory any dramatic TV births and watch videos like these ones for some encouragement! You may be freaked out of having a natural birth if your doctor says that you’ve got a small pelvis. Many expecting moms are actually misdiagnosed with having Cephalo-pelvic disproportion (CPD). It isn’t something that should just be thrown around without a proper evaluation. In fact, research shows that it is nearly impossible to diagnose until the onset of labor unless it’s due some kind of injury or congenital malformation. Studies show that even if a baby is presumed big, an attempt at labor should be made. According to this study, a vaginal after a c-section (VBAC) for a non recurring indication has been described by several authors as safe and having a success rate of 60–80%. Many HCPs will bring up uterine rupture as one of the main risks of a VBAC birth. However, several reports have shown that the risk of uterine rupture is about 1 per 1000 (source). If you’d like to have a VBAC, make sure you find the right hospital for you. Not all hospitals allow VBACs. For extra support, you may also want to look into getting yourself a Doula who specializes in VBAC births. You can even opt to have a midwife tend to your birth, instead of a regular doctor. Just remember that every situation is different and only a qualified individual can properly assess you and your medical history (while weighing the benefits & risks) to determine if you’d be a good candidate. Your stature does not determine your ability to have an unmedicated vaginal birth. Having a big baby (10lbs+) is not synonymous with having a c-section. Firstly, women have been having big babies forever! Secondly, ultrasounds are not 100% accurate near the end of pregnancy for estimating fetal weight. Having a big baby does not mean that a c-section is inevitable. 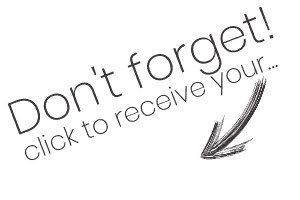 If your healthcare provider (HCP) tells you this, you need to start asking serious questions. Wanna read about a mom who gave birth to a chunky baby? Check out this Australian mom’s natural birth. 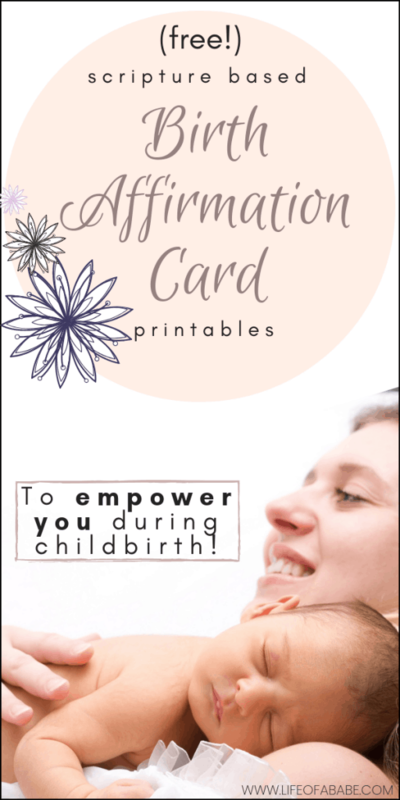 Your baby not being in an optimal position for birth does not automatically mean that your plan to have an unmedicated birth should be forgotten. Part of the reason why I stress that all pregnant moms should see a Chiropractor regularly, is because of the positive effects that chiropractic adjustments have on the body, especially during pregnancy. 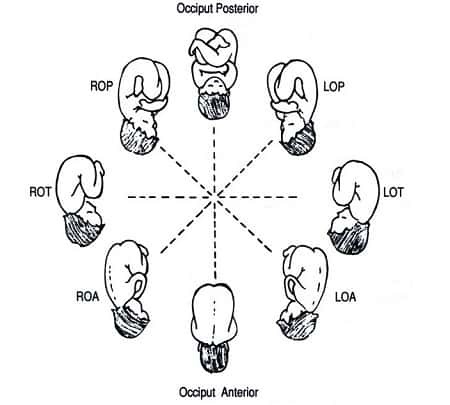 If your baby is still breech by 34 weeks, the Webster Technique (WT) can be performed by a Webster certified Chiropractor to encourage your baby to turn. It’s a specific type of chiropractic adjustment done on pregnant moms. It’s a much safer and less-invasive option than an external cephalic version (ECV). WT won’t exactly turn your baby right on the spot. However, the positive physiological effects it has on the body encourages proper fetal positioning. In other words, it coaxes your baby into the perfect position for childbirth! 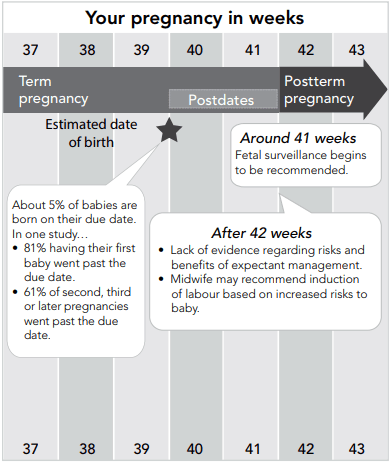 Although this doctor suggests waiting it out until at least 41 weeks if you and baby are healthy, this study suggests that “the incidence of stillbirth increases from 39 weeks onwards with a sharp rise after 40 weeks of gestation”. If you are overdue, you may have a fetal non stress test (NST) done once or more every week to ensure your baby’s well being. An NST is a non-invasive procedure that basically assesses how the baby is doing in utero. Most if not all HCPs will not let you go past that 42 weeks. At that point the risk of stillbirth, c-section, and meconium aspiration (baby breathing in its own poop) rises. The point is, being overdue does not automatically mean you should have a c-section. That isn’t true in all cases. Of course being in a hospital setting, if an actual emergency situation was to arise, you’d be in the perfect place to give birth. However, according to this study, planned home births are much safer and carry lower risks of fetal death and interventions compared with planned hospital birth attended by a midwife or physician. 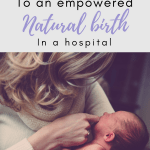 Although you can have a successful natural birth in a hospital, hospitals are not really the ideal place for that type of birth. Having had 2 natural births in a hospital myself, I find that being in a clinical setting is not all the way conducive to that type of birth experience. 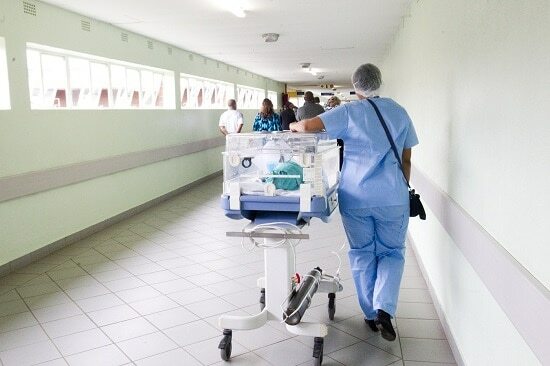 The drab atmosphere, the sterile smell, the staff running around in their scrubs…That can really affect how you respond to and cope with your labor. If you’d prefer not to be in a hospital, you can always give birth in a birth center or even at home. 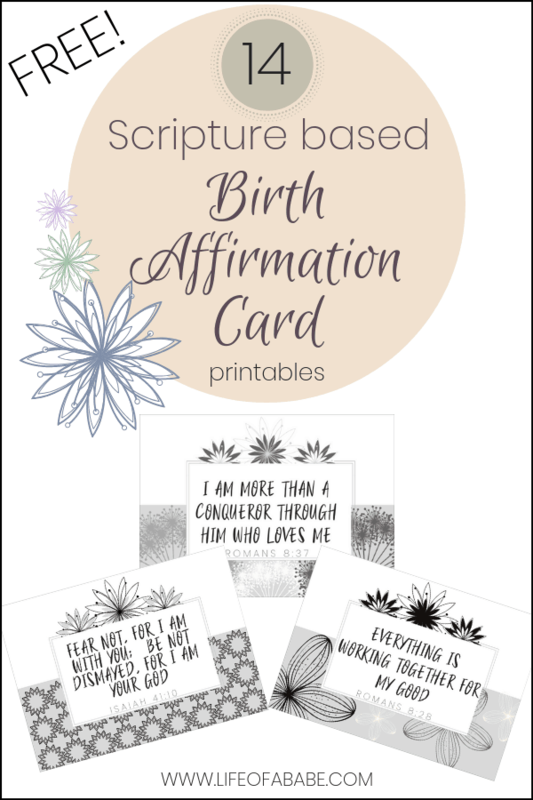 What are some birth myths that you’ve heard? I’m always telling my girlfriends to not pay attention to what they see in movies!! haha Although, birth is no walk in the park, it doesn’t have to been a scene out of a horror movie! I think the biggest things is having the knowledge leading up to the process and you’ve done a great job at informing mothers-to-be! Love all your insight on such a difficult subject. I almost had my second naturally cuz she came so fast 😯 It’s crazy what our bodies are capable of! Wow that’s crazy…or maybe not so much because birth can be so unpredictable lol! Yes, it’s amazing what our bodies are capable of! Great post. I definitely didn’t scream during either of my births. But I did have an epidural for he actually pushing but I think even that is more of a grunting like working out. I was never asked or suggested a c-section once. Which was my biggest fear. So I was glad my doctors tried their best to follow my birth plan. Thanks for the post. This was really great to read! I’ve read so many birth stories while pregnant. I think this seemed really spot on. Not that i have anything to compare it to since this is my first baby. I can totally see why some women choose to go medicated and some dont, but I think having the facts first is most important! 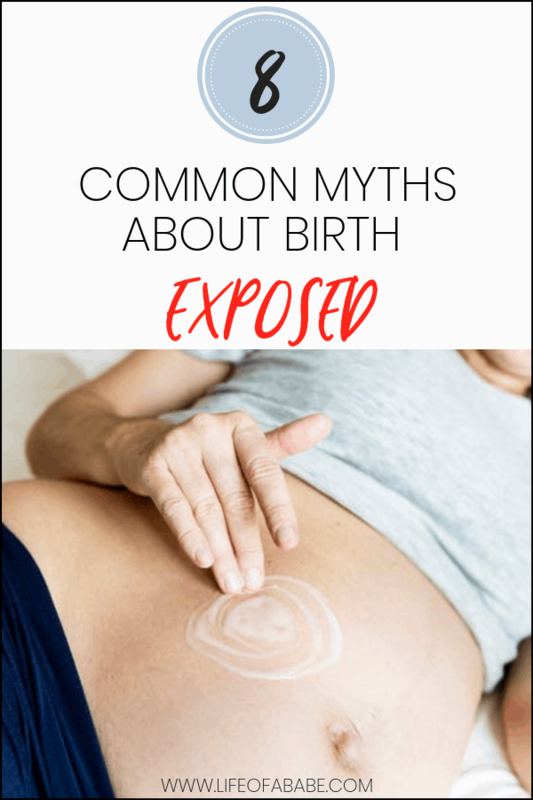 Child birth seems like the most daunting natural thing to face, so I appreciate you de-bunking this myths. I didnt realize that the position the baby’s in isn’t that big of a deal. This was one crazy read and opened me up to so much I had no clue about. Giving birth is not like what you see on TV lol! I always laugh when I see movies and they overdramatize the delivery. Aw thanks so much Melissa! Our bodies are amazing and I believe there’s no flaw in our design. We just have to allow our bodies to do the work. I’m so happy you had 2 successful VBAC experiences!! More women need to know about this. Thanks for reading and for sharing your story! I’m glad you enjoyed this post Katherine! With your MIL having so much experience I know you’ll be in great hands come d-day! This is such good information! I had learned a lot about c-sections and late pregnancies with my first who was almost two weeks late! Thank you so much Stephanie, I’m glad you found this post helpful! I was hoping for an unmedicated birth but things didn’t work out that way. I think it’s a good idea to be open so you’re not disappointed. Being aware and having all the information you need is key to making the right decisions regardless of how things play out. Birth can be so unpredictable! Thanks for sharing your input and for reading! LOL! Glad you enjoyed the post Erin! OMG You’re amazing. I also want 5 children. Hubby wants 4 so I’m still working on talking him into having 5. We’ve had 2 so far lol. I’ve heard so many moms say that their natural births were by far the easiest. I’m so happy you had a wonderful experience. I felt so good after mine. Honestly if it wasn’t for a slightly sore crotch I don’t think I would’ve even felt like I just had a baby! This was a really interesting read! We are quite a ways away from having children, but I’m already very afraid of the process. This was helpful!